Our daughter Gabby suffered frequent injuries as a baby back in 2000, and nobody could tell us why. When we found out that Gabby did not feel pain, our world was turned upside down. We did not know who to talk to or where to go for help. There were no support groups, no other parents to talk to or discuss ideas with, and medical professionals offered little help. Our one wish then was to talk with another family who had traveled this uncertain painless path, someone we could connect with, share ideas and learn from. Our wish was granted when Gabby’s story was featured on local television in 2004. Her story then traveled around the world via newspapers, magazines and radio. Through this exposure, we were surprised and pleased to hear from dozens of families around the world who were dealing with the same condition, insensitivity to pain. Like us they had been alone and now wanted to share their stories and help others. In August of 2004 the dream became a reality with A Gift Of Pain Inc., and this website, www.giftofpain.org. A Gift of Pain Inc. has truly made a difference in people’s lives. Not long ago a mother called us out of the blue and told us that either her or her and her child would not be alive today if it was not for this group. That really is all of YOU. Thinking about it now, I should have shared it with the group, but it was such a personal, tear-filled moment. A few things that we have learned since we began this eventful journey are that there are several reasons why someone may be affected by insensitivity to pain. Additionally, it affects everyone differently. Some people are high functioning, while at the same time other people are physically or cognitively impaired. We don’t care! We welcome them all and help everyone that we can. When I say “WE” I mean the whole foundation - Everyone. We all help each other. We are the only people in the world who can. No one else knows this condition better than any other group of people in the world. Think of what we have accomplished together. No longer is this condition unknown. As a group, we have had a tremendous amount of publicity. People now say they have heard of the condition. Doctors are no longer unbelieving when you explain it to them. Police no longer take our kids away because they get hurt in unusual ways. We have over 80 members. Thirteen years ago we were excited to find even one other family that we could share ideas with. We have a special camp that is dedicated to our kids, so they can try to have a normal camp experience. We care about all of you and we are dedicated to keeping this group a sanctuary for all the families who are affected by insensitivity to pain. Not feeling pain sounds good on the surface, but you soon realize that it is not. 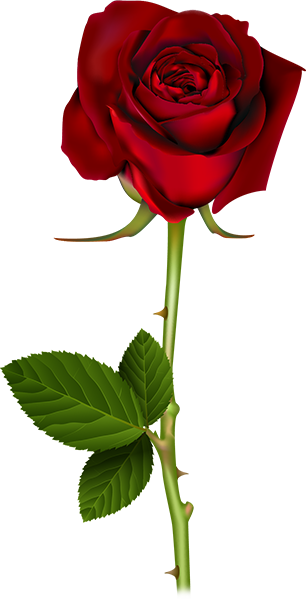 The rose is very beautiful, but you need to be careful of the thorns. Why move to a new website? We have closed the forums and only allow members of the foundation to have access. There are a lot very personal things discussed and we did not want any internet lurkers to be able to read our private thoughts, questions and dreams. One reason we decided to move away from Facebook and back to a forum based website was to take advantage of searchable topics. Facebook is really good at updating people to current ideas and thoughts. What it is not so good at is keeping old topics or discussions so that new people can learn from a previous discussion thread.